Born December 26, 1797, in Chi Renan, Bern, Switzerland. 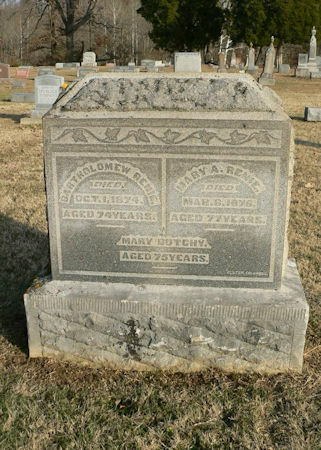 Died March 6, 1876, in Vernon, Jennings County, Indiana. Mary Ann came to the United States with the family when she was nineteen years old. The family was pledged to a doctor in Alabama to pay their passage. The older ones worked three years, and the younger ones until they were of age. Married 1816, in Mobile, Alabama.